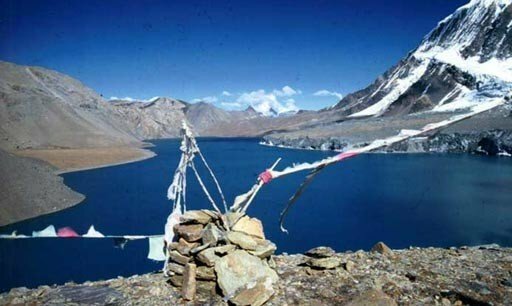 Tilicho Lake is one of those places that have had next to mythic connotations. 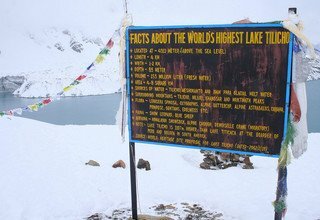 Many regard it as the highest lake in the world. 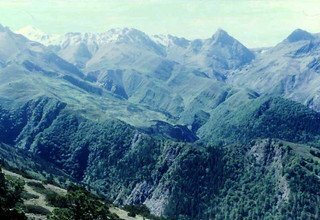 It was for long almost totally closed save for a few climbers and expeditions, and since 1974, when Nixon changed the China policy, part of the area above Thini on the Jomsom side became a totally off-limits military area. 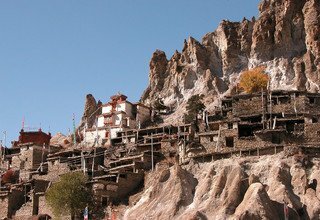 From the Manang side it was rarely if ever visited. 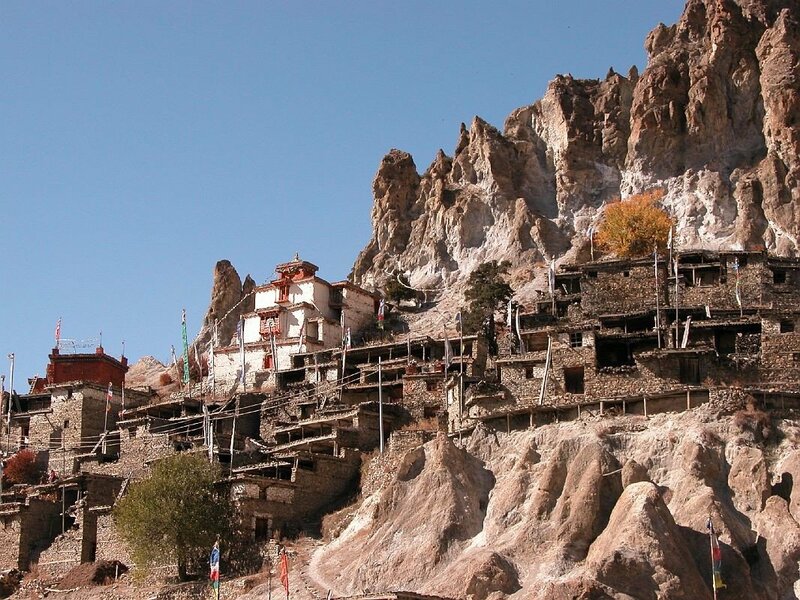 A much sold guide book informed potential trekkers that the path to Tilicho was “a figment of some ones fantasy” and the locals in Manang had little knowledge of the route too. 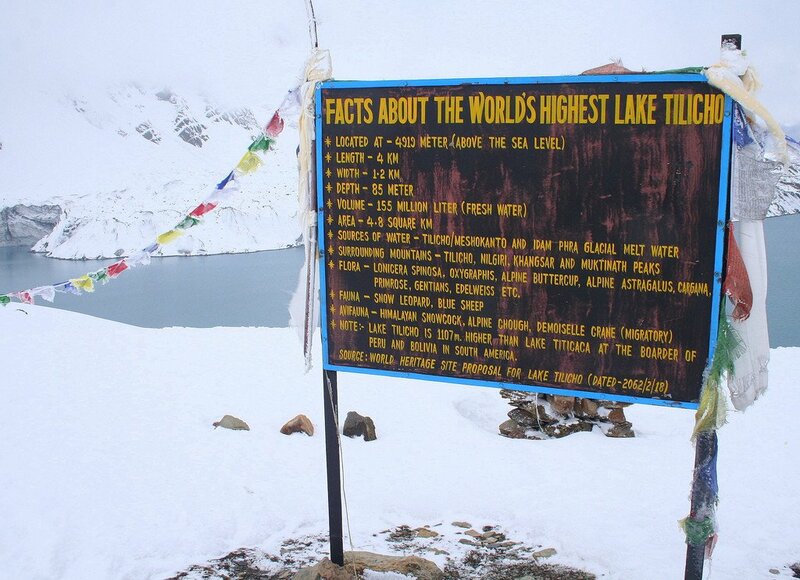 Tilicho Lake is one of the highest lakes in the world. 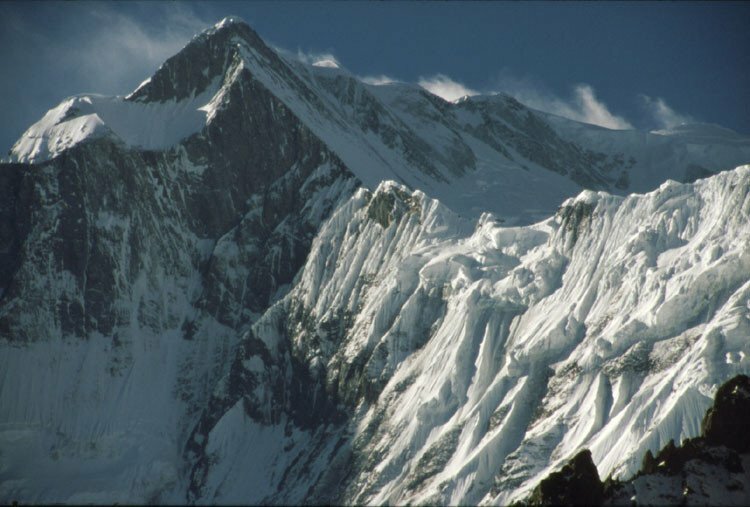 It is 4,949m high in the Annapurna region. 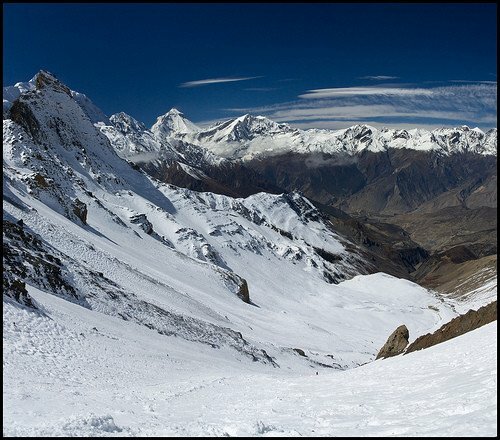 This trek trail follow Annapurna circuit trek until Manang village and after Manang you will trek less tourists visited area so you are out of crowd by Annapurna circuit trekkers because Annapurna circuit is very popular trekking in Nepal. A traverse from Manang to Jomosom may appear as an attractive alternative route on the Annapurna circuit.Tilicho Lake and Mesokanto La pass (5120m) trekking is normal to hard trekking with different passes in Annapurna region but it is very exciting with different taste of nature. 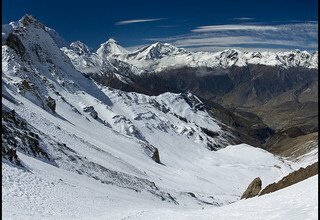 You can pass the Mesokanta La pass via Tilicho base camp. 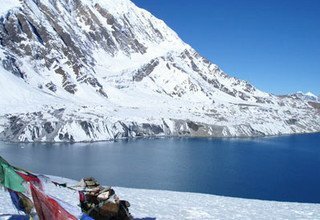 You can see the nice scenery of Annapurna range, and the Tilicho Lake so on. 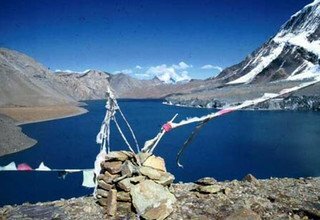 Now a day, there are teahouse facilities at Tilicho base camp so if you are good walkers you can also choose teahouse trek on this trail but we recommend to there by camping arrangement. After Mesokanto La pass you will reach at Jomsom then you can take a flight to Pokhara and back to Kathmandu by flight in same day. Day 3: Drive from Kathmandu to Bhulbule 840m via Besisahar and trek to Ngadi 930m/1 hour, stay overnight at tented camp. Day 4: Trek from Ngadi to Jagat 1300m/6 hours, stay overnight at Lodge. Day 5: Trek from Jagat to Dharapani 1860m/7 hours, stay overnight at Lodge. 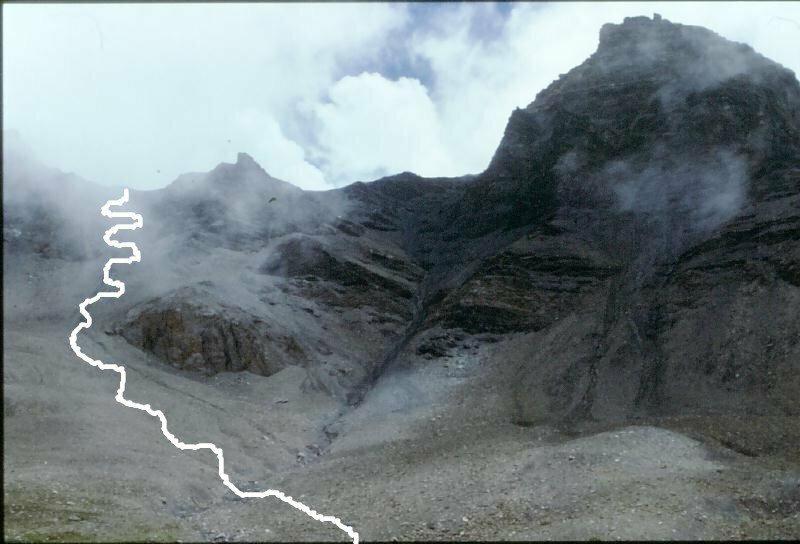 Day 6: Trek from Dharapani to Chame 2670m/6 hours, stay overnight at Lodge. 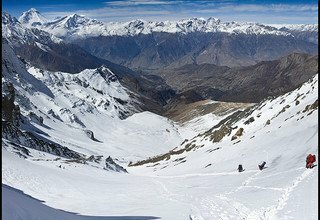 Day 7: Trek from Chame to Pisang 3200m/6 hours, stay overnight at Lodge. 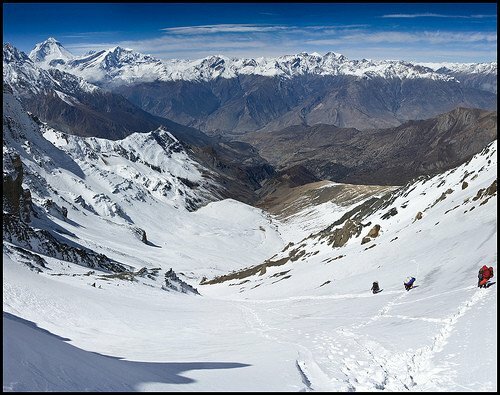 Day 8: Trek from Pisang to Manang 3540m/7 hours via Ghyaru Village 3670m, stay overnight at Lodge. 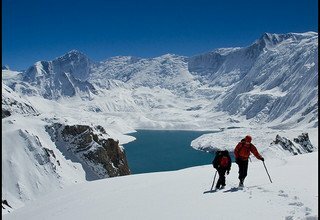 Day 9: Acclimatizing to Ice Lake 4600m/8 hours, stay overnight at Lodge. Day 10: Trek from Manang to Sheri Kharka 4324m/4 hours, stay overnight at Lodge. 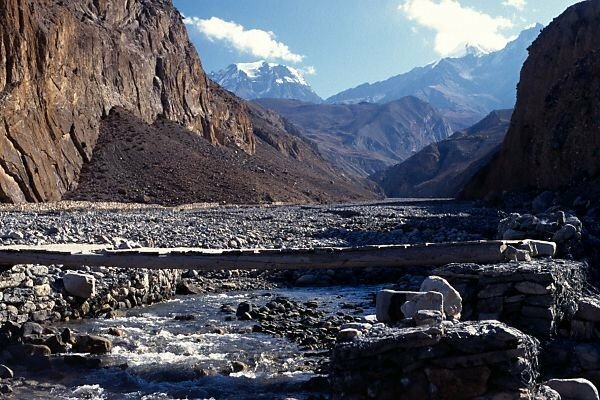 Day 11: Trek from Sheri Kharka to Tilicho Base Camp Hotel 4150m/5 hours, stay overnight at Lodge. 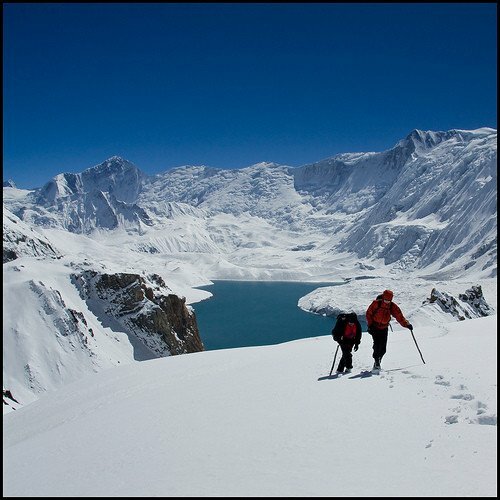 Day 12: Trek from Tilicho Base Camp Hotel to Tilicho Lake 4920m/5 hours, stay overnight at Lodge. 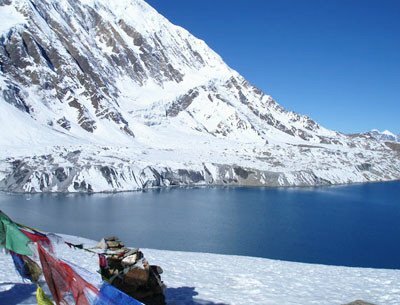 Day 13: Trek from Tilicho Lake to Dharmashala 4320m/7 hours via Mesokanto-La Pass 5120m, stay overnight at Lodge. Day 14: Trek from Dharmashala to Jomsom 2710m/5 hours, stay overnight at Lodge. Day 15: Fly from Jomsom to Pokhara and afternoon fly back to Kathmandu, transfer to Hotel. Day 16: Full Day Sightseeing in Bhaktapur Durbar Square and Patan Durbar Square with our Tour Guide by private car, overnight in Hotel. * Domestic flight ticket from Jomsom/Pokhara/KTM and domestic airport tax. * Annapurna Conservation Area Permit, and all necessary permits.